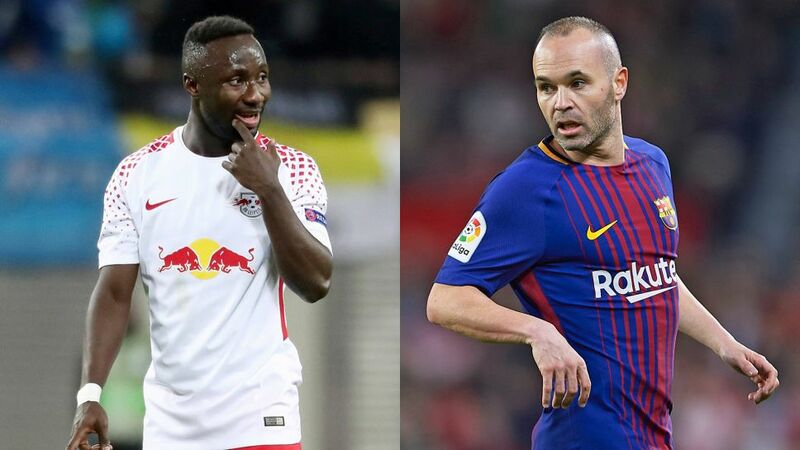 RB Leipzig striker Timo Werner has compared Liverpool-bound teammate Naby Keita to Spain and Barcelona legend Andres Iniesta. Werner and Keita have been central to Leipzig's rise to the upper echelons of the German - and indeed European - game. Werner, who is favourite to be Germany's first-choice striker at the FIFA World Cup this summer, has 19 goals and seven assists in all competitions this season, but he reserves special praise for his Guinean teammate. Click HERE to follow the second leg of Marseille vs. RB Leipzig LIVE! "Naby will be a world-class player because he has everything," he told FourFourTwo. "I think he's a bit like Andres Iniesta, the same type of player, because he can dribble, shoot and score. He has a lot of qualities that the young Iniesta had." Watch: Enjoy Keita's top five Bundesliga goals - there are some stunners in here! Keita has previously admitted to admiring Iniesta's former Barcelona teammate Deco, going so far as to change his middle name from Laye or Leye to Deco per his social media channels. With eight goals and six assists in what some had considered a disappointing second season at Die Roten Bullen, the 23-year-old's ability to dictate play from behind Werner should not be understated. "I don't think Naby will get worse," concluded Werner. "He'll only get better." Marseille - Leipzig's next opponents in the UEFA Europa League - have been warned.